Want to be a Telephone Agent ? Want to be a Taxi Driver ? Andrews Taxis has been an active circuit for 70 years, and has grown to become the Premier transportation service in Southend, Rochford and Hockley. We can offer you a variety of vehicles to assist your needs, ranging from saloon, estate, 5,6,& 7 seater vehicles. 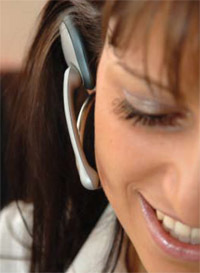 We operate from a brand new state of the art Call Centre in the heart of Southend on Sea. Our agents are of a very high standard, continuously improving with our in house training programme, always striving to offer a first class service to the public. All of our calls are recorded and monitored in order for our agents to enhance their performance. We also operate a car wash/valet service from our Call Centre. This ensures the fleet of vehicles are always of the high standard we expect when transporting the public from A to B, resulting in Andrews Taxis being the first choice for all Restaurant, Theatre and Function venues within the working area. The circuit works from a highly intelligent despatch system called Cordic. They are the market leaders in their industry and we are constantly in communication with their headquarters in Cambridge to strengthen our ability to deliver a first class service response time. System parameters are constantly being adjusted in order to keep up with the extensive work load the area has to offer. We have working relationships with several of the largest organisations within the area on a corporate account facilities basis. From agents taking calls to end of month invoicing, our historic activity with larger companies demonstrates we have the team and resources to perform. Automatic electronic invoicing, credit facilities, corporate VIP service and a professional team all help us to secure some of the towns largest contracts. You can also book a taxi from our FREE APP, the most active of its kind around the area. Search ‘Andrews Taxis’ in the app store and download it to your mobile device. It can offer you settings far more advanced then the ordinary telephone call can offer, live tracking of vehicles, estimated time of arrivals, customer feedback, favourite destinations, set your home address, buddy numbers and far more. If you see life as a cabbie or for looking for work or a change of occupation, please phone our call centre and ask for recruitment or use the About us drop down tab. Join the Andrews App Revolution!